One of a kind 2.53 acre homesite in Sunset View Estates. 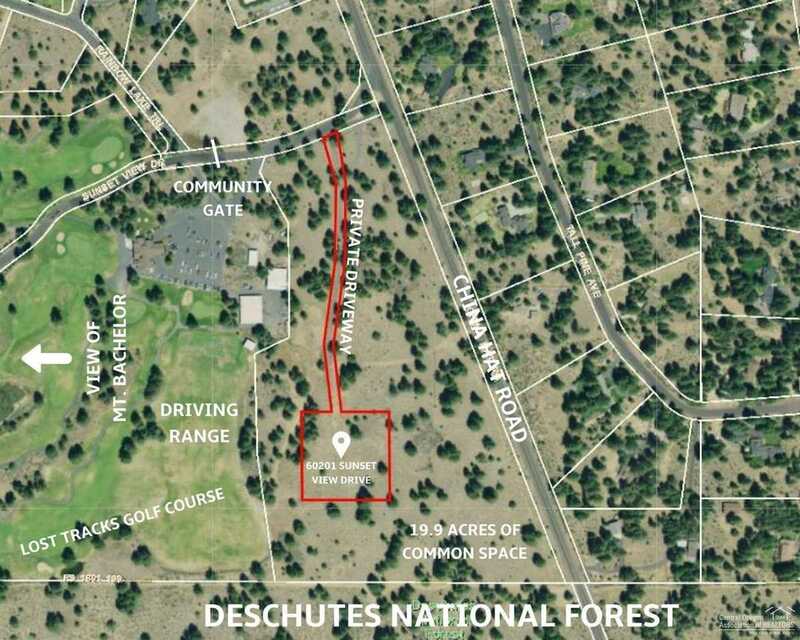 The long private drive opens up to a flat building envelope surrounded by common area and Deschutes National Forest beyond for utmost privacy and the feeling of a much larger homesite. Enjoy views of Lost Tracks Golf Course, natural rock outcroppings, and filtered Cascade Mountain view. While part of Sunset View Estates, this parcel is just outside the gates, making for easy access. Water, power are to the property and septic feasibility approved. I was searching for a Property and found this listing (MLS #201900531). I would like to schedule a showing for 60201 Sunset View Drive Bend, OR 97702. Thank you! I was searching for a Property and found this listing (MLS #201900531). Please send me more information regarding 60201 Sunset View Drive Bend, OR 97702. Thank you!